Many of us think of F.R. 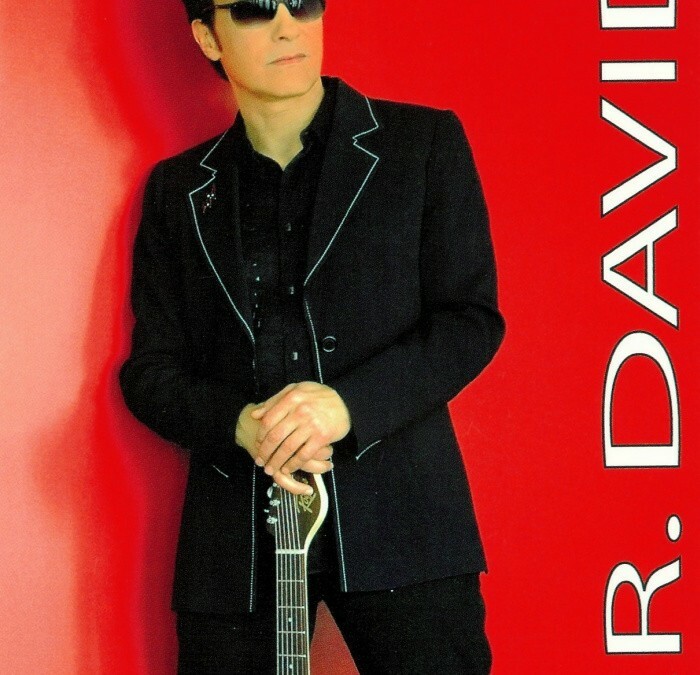 David as the singer of Words , one of the biggest hits during the 1980s which sold 8 million records across the world. Some of us don’t know the rest of the career of this French singer songwriter musician who started in the 1970s playing guitar for Vangelis in concerts and on the records. He then became the lead singer in the group Variation which is one of the rare French groups to be exported around the world in the history of Rock. This is the era of the giant stages and stadiums where he performed side by side with all the legends of Rock ‘n’ Roll. Then the group separates and F.R. Davidstays in the USA for 5 years where he works on albums with The Dooby Brothers, The OJ’S, Richie Evans, Toto and many others. He also records his album King Of Hearts , produced by David Kreps. He returns to France to find that Words has become number 1 on the charts in 10 countries in Europe and Japan. This was the beginning of 15 months of promotion and travelling around and it starts over again. F.R. David signs with CBS and records Sahara Night , a fusion of all music that has influenced this unusual singer songwriter. He records a new album Reflections which plays over the radio in all of Europe and Asia. The title Don’t Go becomes a superb video clip directed by Kosta Kekemenis. I’ll Try To Love Again was released. Rock album produced by J.P. Grosz, (producer of Ray Charles). I’m Not In Love recorded at New York Hit Factory.